Any list of dangerous dog breeds should be considered an opinion only. There are many variables that determine whether or not a dog is dangerous, and breed alone is not a good indicator. The most dangerous dog of all is any dog that has been left to itself and untrained. A dog that has not been trained to obey its owner/handler is a dog that is dangerous no matter which breed it is or even what size it is. It is important that, whichever breed of dog you choose, you take the time to train it or have it trained for you. Choose a breed according to your lifestyle. If you have children and property, a herding type dog may work better than a small, nervous dog. Use good judgment. Don't allow your dog to be in situations where it will be teased. Most dogs will defend themselves. Take the time to socialize your dog. Take it for walks where it will be around people and other dogs. Don't leave it chained in the backyard without attention. Be fully aware of background your dog comes from and its history. The United States Department of Health collected data from the Humane Society and other sources about dog bites, fatalities and attacks from 1979 through 1998. Although any dog can be dangerous, the following dogs were most often involved in reported attacks. The list is in alphabetical order and not in the order of the most dangerous. The Alaskan Malamute was bred to be team oriented. Its job was to haul people and their belongings across long stretches of ice and snow. This breed is not great for guarding people or property because of its tendency to trust people. It is, however, a very independent breed and will not obey with the unquestioning submission of some breeds. Chows are very loyal and protective of their family, but they are not good with strangers. They will regard strangers with suspicion until they have had time to make a judgment on them. This distrust of people they don't know can be a problem if the dog is not properly trained. Doberman Pinschers were used as military and guard dogs. Due to this, they were bred for the characteristic of aggression. This situation has changed in the past few decades, and responsible breeders are breeding for the positive characteristics of intelligence and playfulness. The German Shepherd has long been used as a protective dog as well as in military and police situations. These dogs were originally bred to protect herds of sheep and goats. A German Shepherd is also protective of its family. Great Danes are gentle giants but their sheer size makes them clumsy and they can harm a small child without meaning to. Again, the key here is obedience training. Great Danes can be cautious when meeting new people. Their size makes them intimidating which means that they are excellent watch dogs. Like the Alaskan Malamute, the Husky was bred for work. This is a friendly breed but, like all of the Alaskan working breeds, needs to be busy to stay out of trouble. These dogs are fiercely independent, and this can cause trouble with owners that are unable to maintain consistent behavioral expectation with them. 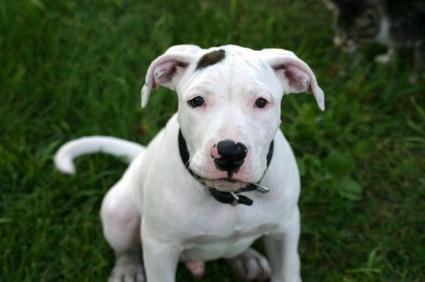 Pitbulls, although technically not a recognized breed, are one of the most feared dogs of all. In actuality, a well bred Pitbull is friendly and sweet natured. These dogs are very strong and energetic, so they need a lot of exercise. Due to their intelligence and activity level, the Pitbull needs a strong handler and, like any dog, should go through obedience training. Rottweilers are a powerful breed that was developed for herding and later used for protection. They have a gentle nature and are very good with children. Since Rottweilers are so powerful, they must be well behaved because they can easily hurt someone without meaning to do so. Of the dog attacks on humans reported in the study, a full 60 percent involved two breeds alone. These breeds are Rottweilers and Pitbulls. Rather than assuming that these two breeds are most likely to attack, however, you must look at how these breeds are handled. Either of these breeds are likely to be owned for protective purposes or fighting purposes. While dog fights are illegal, they still are very prevalent in many parts of the country. Poor training, abuse, neglect and encouragement to be aggressive can cause any breed to become dangerous. When considering a list of dangerous dog breeds, take all things about the breed into consideration. There are many Pitbulls that are wonderful with children and many Chihuahuas that are ill mannered and bite. Any dog must be raised well to behave well.